no markings or numbers on it. represent the watch fairly and accurately if i sell it, which i might. My thoughts tend to that this is certainly not an OEM GL831 strap. That said it could be original to the watch if some 7548's came on something other than a GL831/XGL831. As you say this strap lacks any markings. Some GL831s has "Z22" markings, obviously most say "GL831" on them. Also something looks a bit amiss with the shape of the rectangular vent flaps. What does the clasp marking read? 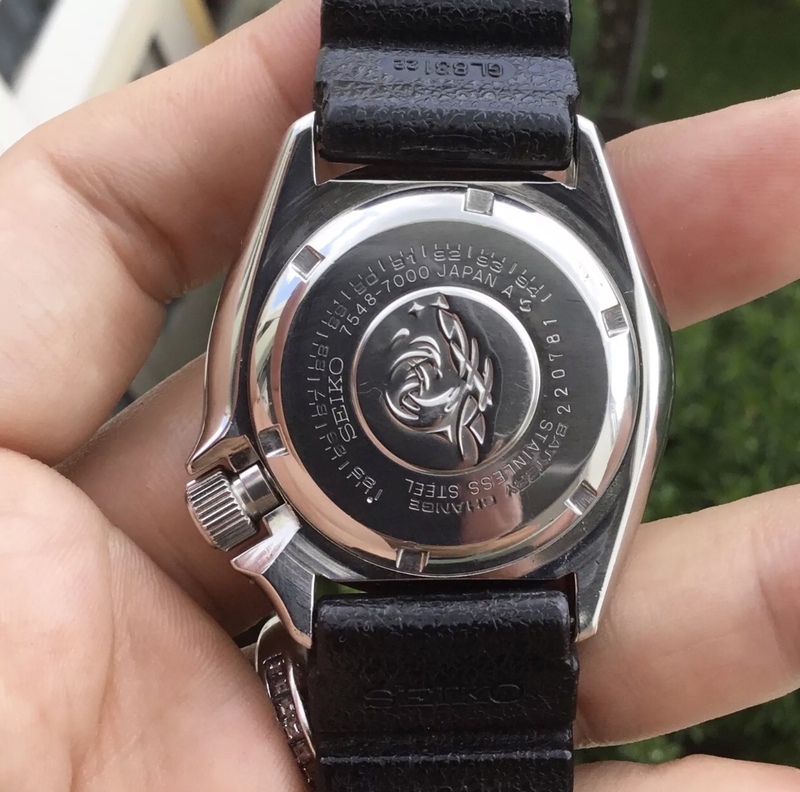 If original I believe it should be "SEIKO stainless steel Japan.T"
I believe it's installed inside out, so to speak. You are looking at the underside of the strap. Flat vent is the top, wavy vent (lack of a better term) goes against your wrist. This is one of my JDM 7548-7000’s which came on original GL-831. It’s clearly marked as shown in photo below. Last edited by peterrizzo; 11-08-2018 at 09:01 AM. well, thanks for the opinions, looks like i got taken, a bit. Peter when I'm done with yours, very soon I hope, I'll donate a GL831 to you. Is this the &quot;original&quot; 7548-700H Strap? Guy, I’m accepting donations too. Could someone donate a seconds hand for a 7548?